Getting a bad night of sleep can often leave us feeling groggy, cranky, and counting down the minutes until bedtime. And according to researchers from the University of Warwick, it can also increase the chances of poor balance the next day and lead to a fall -- particularly for older people. The researchers had 20 volunteers participate in the study, all of whom were free of any health issues or concerns. To see the ways sleep affects balance, the researchers evaluated both factors over the course of two days. The participants wore sensors throughout the duration of the test, while the researchers monitored the results. Just one night of bad sleep was found to have an effect on posture and balance, thus resulting in more falls. For the older people involved in the study, the risk of falling was even higher. The researchers hope that the wearable sensors that the participants used in the study can be used in hospitals and nursing homes moving forward as a way to prevent falls among elderly patients. Dr. Pecchia explains that many older people that are in the hospital for extended periods of time often have trouble sleeping, and they can be disoriented by the lights, sounds, and the constant back and forth of people. He’s confident that hospitals can be a safer place for senior citizens if healthcare providers make the necessary changes. When children -- or even young adults -- fall, it typically isn’t cause for concern. Minus a few bumps and bruises, things usually aren’t too worrisome. However, the same isn’t true for senior citizens. 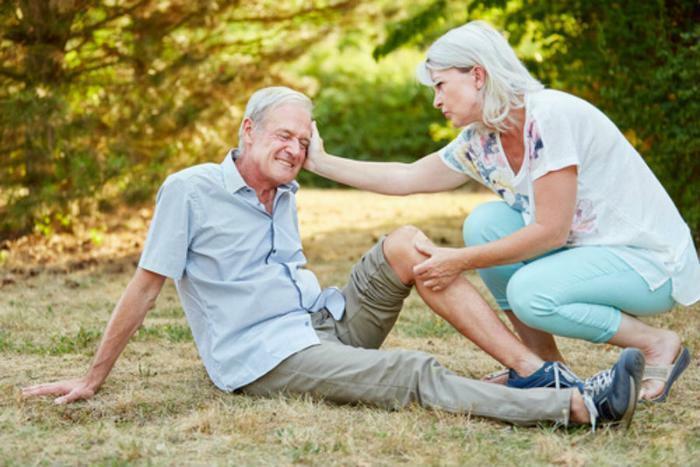 Researchers recently found that more than half of senior citizens who went to the emergency room for a fall either fell again, were admitted into the hospital, or died within six months. The researchers say it’s on medical professionals to educate their older patients on ways to prevent falls and follow existing fall protocols. According to the Centers for Disease Control and Prevention (CDC), falls are the most common cause of traumatic brain injury. For older people, a change in brain activity can be the cause of more falls, though there are many risk factors for senior citizens that could increase the chance of falling.